The Baylor College of Medicine recently sequenced and annotated the Leptinotarsa decemlineata genome as part of the i5k pilot project. This dataset presents the Leptinotarsa decemlineata genome v1.0. This assembly version is the pre-release version, prior to filtering and quality control by the National Center for Biotechnology Information's GenBank resource. Assembly method details will be available in a forthcoming publication. 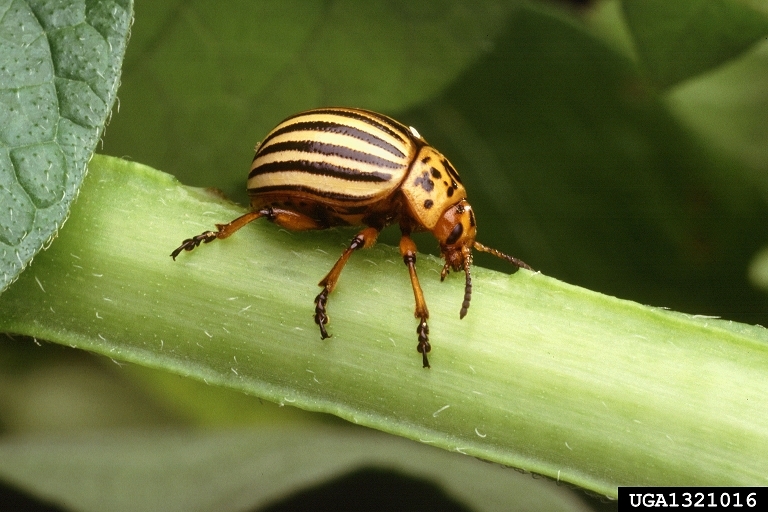 The Colorado potato beetle is considered the economically most significant defoliator of potato in northern latitudes worldwide. The range of this insect is continuing to expand, and it is likely to eventually colonize all potato-producing areas with temperate climate. Within it's native habitat, the beetle feeds on native solanaceous plants, S. angustifolium, S. elaeagnifolium, and buffalo bur, S. rostratum. However, it has adapted to potatoes and other solanaceous crops after its range expansion. Due to the lack of any natural enemies that have been able to evolve seasonal adaptations, the cornerstone of Colorado potato beetle management has been the use of insecticides. However, the beetle has shown a remarkable ability to develop resistance to most insecticides used for its control. The mechanism(s) of insecticide resistance is yet unknown and genomic sequencing will lead to major advances in managing this pest in commercial plant production.